Member-, Oklahoma State Medical Association, & Oklahoma County Medical Association. In the summer of 1979, Dr. Gourley founded Edmond Regional Eye Associates of Edmond,Oklahoma. He has been in practice in Edmond from 1979 till the present. His practice encompasses all aspects of eye care. As a member of American Academy of |Ophthalmology, the American Society of Cataract and Refractive Surgery, Baptist Medical Dental Fellowship , and Alpha Omega Alpha Honor Society, Dr. Gourley is always involved with cutting-edge issues, techniques, and technology. 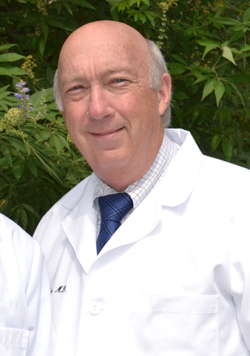 Dr. Robert Gourley is a Board Certified Ophthalmologist who specializes in cataract and LASIK surgery. He also provides complete eye care services for all ages. Upon graduating from Baylor University for his undergraduate studies, Dr. Gourley then attended the University of Texas Medical Branch in Galveston, Texas for his medical school training as well as his Masters in Pharmacology. Among his numerous awards in medical school, the Alpha Omega Alpha honor society is one of the most honored awards he received. In 1975, Dr. Gourley moved to Oklahoma to attend the University of Oklahoma Health Sciences Center for his internship in Internal Medicine. After completing his Internship, Dr. Gourley did his ophthalmology residency at the Dean A. McGee Eye Institute and the University of Oklahoma Health Science Center. Throughout his practice of medicine, Dr. Gourley has been involved in Medical Missions, whether at home or abroad. He started the Mission Cataract program for the state of Oklahoma. He has had a long lasting relationship with the Lions Club, Prevent Blindness, Boys Ranch, Good Shepherd Ministry, and many more organizations. He continues his involvement with foreign mission work, from China to South America to the middle east. As a result of his caring and committed desire for better eye care for everyone, he was awarded the National Outstanding Humanitarian Service Award for Ophthalmology from the American Academy of Ophthalmology. Among his accomplishments, Dr. Gourley has been President of the Oklahoma Academy of Ophthalmology, Chief of Staff of Edmond Medical Center, chairman of the Board of Directors for Edmond Medical Center. He currently serves on the board of directors for the Reaching Souls International Ministry and on the national board of directors for the Baptist Medical Dental Fellowship.